An app I use religious every night is Sleep Cycle by Northcube AB. It's a fantastic app, it incorporates the concept that your body is easier to wake up and less groggy when your alarm goes off during the light test phase of your sleep cycle. You can adjust the settings as you see fit but he default settings have your wake up window set to any time in the last 30 minutes of your sleep, so if you need to wake up at 6:30 AM, sleep cycle will wake you when you are in light sleep anytime during the window between 6:00AM and 6:30. The app gets this data via the super sensitive accelerometer in your iPhone and placing your phone on your mattress (right under the mattress cover). But I'm not here to promote Sleep Cycle, while I love the app it's their two most recent apps that made a wave in how I track my health and get more rest. Following the same concept as sleep cycle, power nap allows you to effectively get a nap in without falling into a full REM state. Ever wonder why you feel groggy sometimes after a nap? If you wake your body up during a moment of deep REM, more than often you feel super groggy and like you didn't get any rest at all. Power nap enables you to get that "quick fix" sleep in when you need that added boost of energy. This data is track by the accelerometer (much like Sleep Cycle) except instead of placing it on your mattress you place it close to your body, ideally in a pants pocket. The app boasts three distinct settings: power nap, recovery nap, and one full sleep cycle. Each mode operates on the core concept of waking you up during your lightest sleep phase but the benefits vary. Power nap is perfect for getting that added boost to your energy levels and alertness, you get an up to 20 minute nap and the phone alerts you before you reach a state of REM, allowing you to wake up refreshed without that annoying groggy feeling. Recovery nap does just that, helps recover more energy by allowing you to nap up to 45 minutes. Bothe these settings are pretty similar but I noticed that when I used the power nap setting versus recovery I was more alert from the get go, but my energy levels were improved with the extended recovery nap mode. Both good if you know exactly what you need. 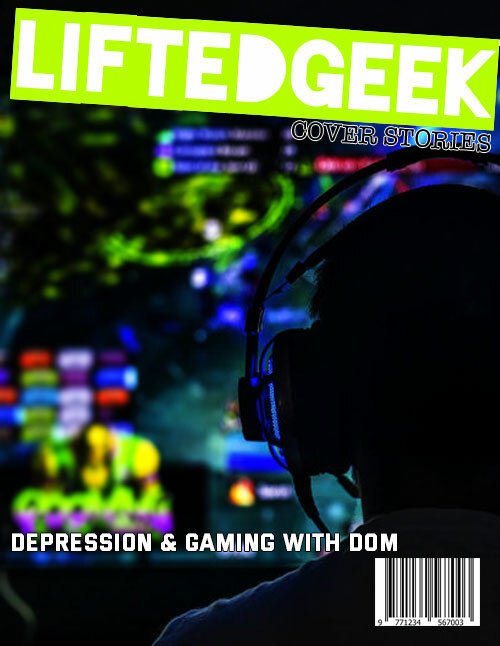 The mode that differs the most is the one full sleep cycle mode, this mode allows you up to a full two-hour sleep cycle including a state of REM. Typically these full sleep cycle modes go about 90 minutes, but can reach that full two-hours if your body stays in REM longer. The app developer claims that one full sleep cycle can help improve creativity and physical performance. I used the full sleep cycle on toe occasions and found the dev claims to be spot on, when I was redesigning the website last weekend, I used to full sleep cycle when my creative juices just stopped flowing, I slept about a little under an hour and a half and when I woke up I noticed a considerable boost in creativity and energy. Some of the key choices I made with the design I accomplished after this super nap. Another instance occurred on a day when I had to be in the office at 6AM, I didn't get much sleep the night before and felt groggy the entire day. After work I took a full sleep cycle for about an hour and 45 minutes, my energy felt boosted and I went to yoga that night and totally killed it during crow pose! I didn't feel the need to take an energy supplement pre workout and felt like my performance was greatly improved. 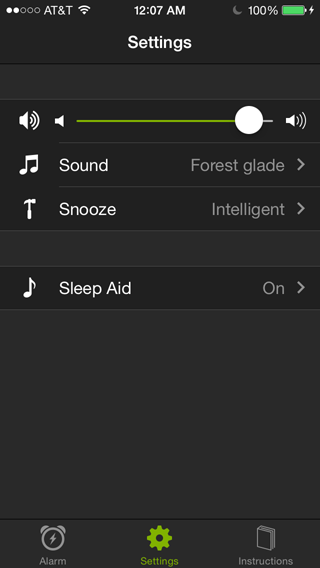 Along with these intelligent nap management systems, Power Nap also has a setting for an optional sleep aid to help you drift off to sleep easier, you can choose from 13 soothing sounds to help you drift off to sleep. It helps when you feel like you aren't hitting a sleep phase after starting a new nap. Overall this is a must buy app and at only $1.99 it's a reasonable price to pay for a better siesta experience. Here's an interesting and super useful app for your iPhone. Don't have the money to spend on one of those expensive telemetry straps of fancy running watches? 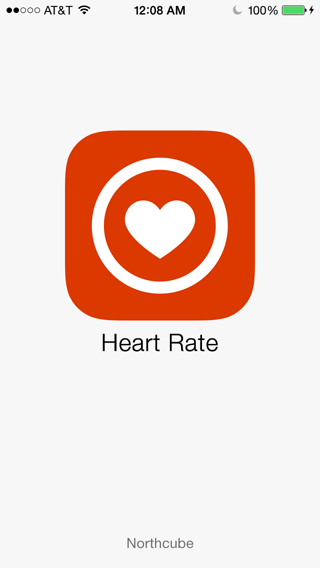 The app uses a pretty ingenious method to accurately track your heart rate. 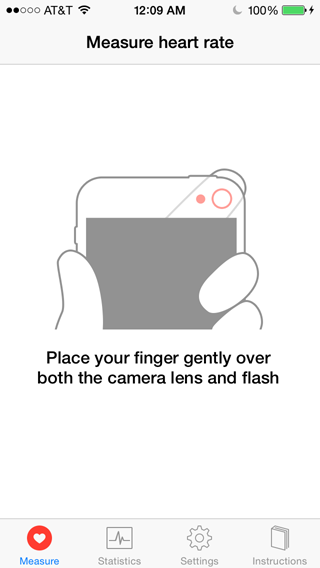 You gently hold your finger over your phones flash and camera. The flash illuminates your finger (fancy) and the camera measures the flow of blood in your finger tip. I've tested the app during points of rest, just after waking up, before working out, and after working out. In my tests I discovered that the app is surpringly very accurate, deviating from my actual heart rate by an inconsequential margin. I've been tracking my heart rate at different times of the day and an able to jot notes down for each entry. In conjunction with other fitness basked apps like RunKeeper, I can accurately keep my heart rate in a particular zone during a run by adjusting my pace after measuring my heart rate. I was as skeptical as you may be when I first downloaded the app, but when the read outs proved to be accurate I came to two conclusions: Northcube AB are freaking geniuses and should be heralded... Or they're wizards. I prefer the later but my best guess is the former makes more sense. When it comes to managing data in regards to my health, the combo of using Sleep Cycle in conjunction with Power Nap and Heart Rate make for forward thinking trinity of apps. Manage your quality of sleep with Sleep Cycle, make payments to any sleep debt with Power Nap, and empower yourself heartbeat after heartbeat with Heart Rate, and at $1.99 each app... I'd say it's worth it.